A striking image of Duffus Castle has been selected as the winner of the Benromach Spirit of Speyside Whisky Festival Photography competition. The stunning photograph showing the historic property on a frosty winter morning was taken by John Macgregor from Lossiemouth. Frosty Morning at Duffus was one of three images by Mr Macgregor to be shortlisted in the final of the competition – and all of them received prizes. He wins a five-day commission to capture the 2014 Spirit of Speyside Whisky Festival on film, along with a cash prize, trophy, bottle of Benromach malt whisky and tickets for the prestigious opening night dinner. Michael Urquhart, managing director of Gordon & MacPhail, the owners of Benromach Distillery, says the competition always attracts entries of a very high standard. He adds, “I was really impressed by each and every one of the entries this year; the very high calibre never fails to amaze me. This was one of the most difficult years to judge because of the quality, and to determine an overall winner was a real challenge. James Campbell, chairman of the Spirit of Speyside Whisky Festival, is delighted with the continuing success of the competition. 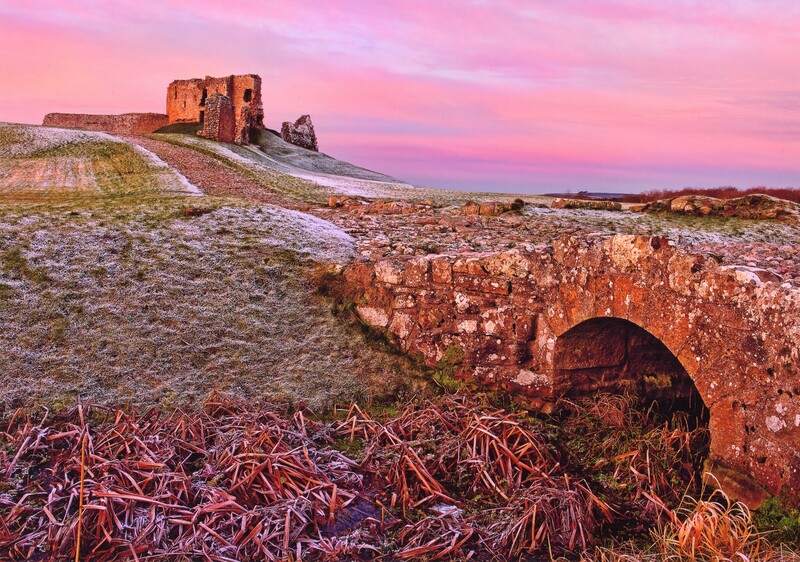 “All of the entries this year have been superb and John is a thoroughly deserving overall winner; his frosty morning shot of Duffus Castle captures the stunning pink hues of the sunrise. “Not only does the competition put this beautiful part of the world on the map, but it also provides a platform for photographers whose work is exposed to thousands of people at the festival and at the viewing gallery online,” he says. 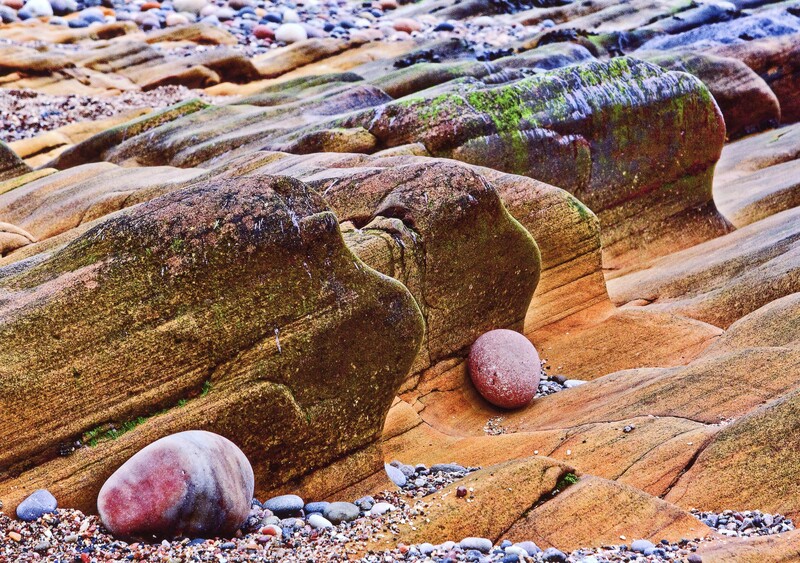 Mr Macgregor’s shot – Seaside Sculpture – took the honours in the abstract category, while his photograph called Happy and Grumpy was runner-up in the people section. The runner-up in abstract was Gabriel Varga from Slovakia with her image, Out of Service – a photograph of an old red telephone box. 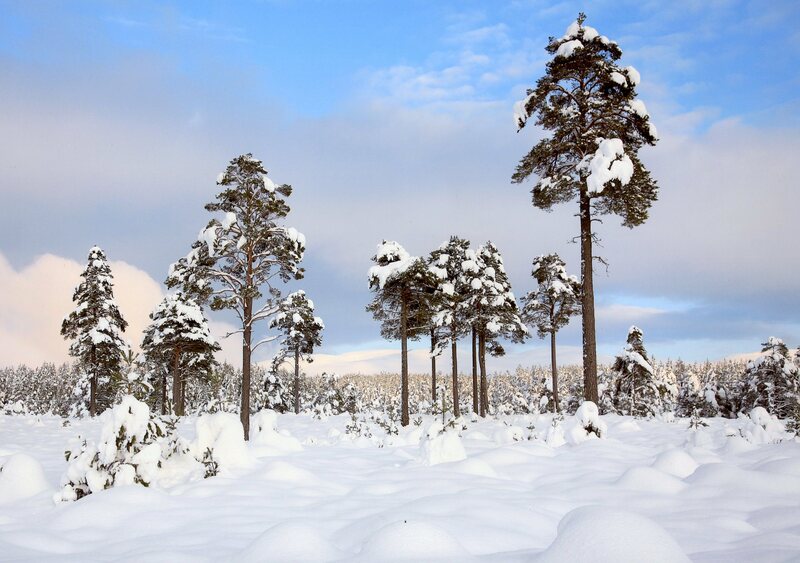 In the category for seasons, Alistair Petrie from Carnoustie scooped first place with his Winter Pines image. The runner-up in this category was Helen Crowley from Elgin with Tattie Field. 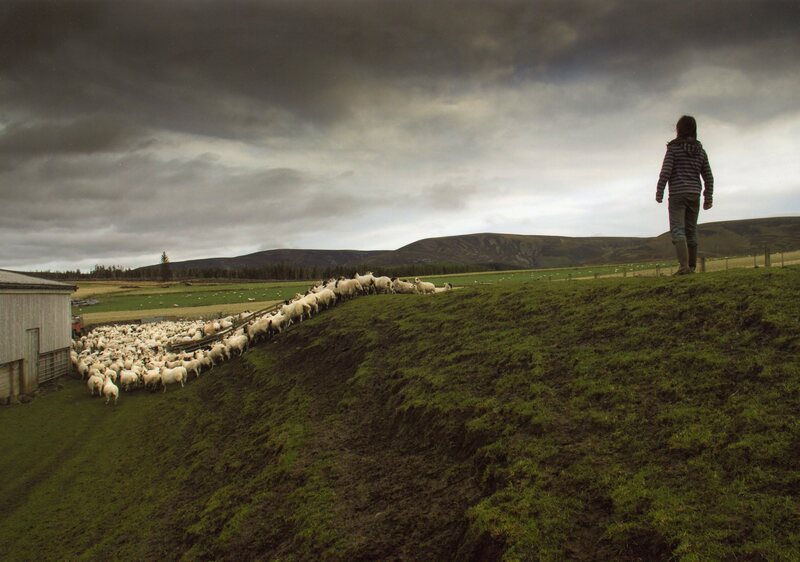 In the people category, the winning image of Tomnarieve – a farm worker overlooking a flock of sheep – was taken by Myrddin Irwin of Tomintoul. The touring exhibition of the finalists’ photographs is currently at Benromach Distillery, but moved to the Grain to Glass Exhibition at St Giles’ Church in Elgin – another part of the Spirit of Speyside Whisky Festival – from Thursday, April 17. The images will take pride of place at the Festival Hub in the Square at Dufftown for the duration of the Festival from May 1 – 5. They will go on tour at libraries across Moray in May and June, the Scotch Whisky Experience in Edinburgh from July, and back to Benromach in September. The finalists’ photographs are currently on display online at www.spiritofspeyside.com and visitors to the site are asked to vote for their contender for the People’s Choice. The winner of this competition will be announced later in the year.